In Sahaja meditation, there is an elaborate mechanism for deciphering and diagnosing your experiences with your subtle energy system. You can learn to identify and fix problems with your energy system to create an obstacle-free path for the flow of the Kundalini energy. Clearing obstacles strengthens your Kundalini’s connection to the all-pervading universal energy and automatically results in a higher quality state of thoughtless awareness, which provides a deeper, more beneficial meditative experience. The initial ability to perceive your subtle energy system, i.e., being able to feel vibrations and the Inner Spirit or Self . Enhancing the experience of meditation and vibrations and improving sensitivity. At this stage, the practitioner is able to perceive the subtle energy system and determine whether the vibrations and connection are strong enough. Developing the ability to detect “foreign” entities or some form of undesirable negativity in our physiological or subtle energy systems that are potentially harmful to our health and well-being. Using meditation techniques to clear out an obstacle or impediment in the subtle system which obstructs the flow of the Kundalini energy. Detecting the longer-term health of chakras and trait-related problems in the subtle energy system. Practicing meditation with some regularity eventually takes nearly everyone to this basic stage of feeling the cool energy in the form of vibrations. In the initial stages, the practice of meditation involves raising the energy each time before meditation. Typically, you’ll be able to actually feel the strands of the Kundalini energy rising, almost as if you’re carrying a small blast of cool air in your palms. On the top of your head, you may feel a sensation similar to a low voltage current, but it’s a soothing sensation. This particular sensation can be really powerful, depending on the number of strands of Kundalini energy rising, which in turn depends on the strength of your connection to the all-pervading power. Thus, this sensation is also often a direct indication of the strength of your connection, as well as an indicator of how deep your meditation will be. Lastly and most importantly, the thoughtless awareness experience is central to the practice of Sahaja meditation, as well as the state of your entire subtle energy system. Thoughtless awareness is a state in which your thoughts significantly decrease or even stop entirely for moments. In the beginning, you experience only moments of thoughtless awareness in between a set of thoughts. But over time, and with practice, you’re able to increase the duration of the thoughtless awareness state. The stillness of mind perceived during thoughtless awareness is extremely relaxing and soothing and will give you a strong sense of stability and inner peace. It also creates a feeling of emotional detachment and resilience, an ability to not be perturbed by anything. At the same time, the thoughtless awareness state provides the feeling of compassion and love from within, a feeling that dissolves negative feelings and thoughts. It also becomes easier to forgive and let go and you start wondering why you were so complicated and difficult up to this point in your life. Your spirit, mind and body feels nimble, like a fit, accomplished gymnast —light-weight, yet so strong, capable and skillful that it could bend any which way you might desire. You feel agile as a personality, lighter and more joyful. As feelings of joy begin to settle in, your heart, as they say, even feels lighter. For most people, it can take a while to feel sensations relating to the subtle energy system, ranging from a few days to, in some cases, even a few months. During this period, it is natural to doubt whether such a thing as the subtle energy system even exists, or whether it can have a real effect on your life. You may wonder if the Sahaja instructors know what they’re talking about. But rest assured that nearly 100% of the people who have tried and persisted with Sahaja meditation have eventually felt the vibrations from the subtle energy system. It seems that the Kundalini energy simply takes its own time to cleanse the subtle system and provide the necessary sensitivity to the practitioner. Some people report a hot sensation in the hands and on the top of the head instead of a cool sensation. Typically, this only happens in the very early stages of a Sahaja practice and is due to the Kundalini energy clearing the chakras as it passes through them. The unwanted obstacles and negativity exit the body in the form of a hot breeze. All you have to do is wait patiently for the cool sensation to set in. Incidentally, people who experience the hot breeze are usually closer to actually experiencing the subtle energy components than those who feel nothing at all. The initial awareness and perception of the subtle energy system is the first step toward becoming familiar with its various components — feeling the vibrations, sensing our chakras and energy channels, as well as experiencing thoughtless awareness consistently. In subsequent stages, the focus shifts to accurately differentiating between various experiences and sensations and fine-tuning your sensitivity to the subtle energy system, that is: You become a subtler human being. This includes being able to differentiate between good and bad vibrations, between hot and cool vibrations, between strong vibrations and feeble or mediocre vibrations. Trying to describe anything that is subtle is always challenging, for it’s not always easy to convey the true essence of a thing. Subtle things, after all need to be perceived, experienced and understood, not just read about or talked about. 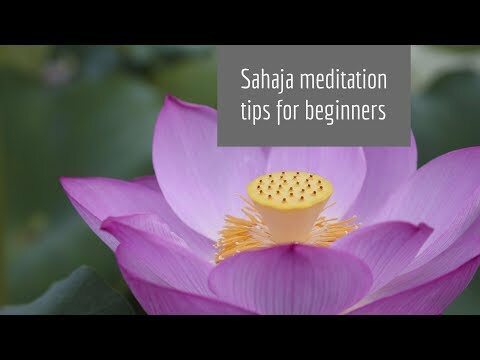 Nevertheless, the following is an attempt to at least offer some clarity on different vibratory experiences in the practice of Sahaja meditation. Vibrations are a representation of the all-pervading power of Nature. All elements in the universe have states of existence and their own intricate mechanisms of emitting vibrations, or in simplified terms: “good and bad” vibes, as we often refer to them. In general, these vibrations are subtler expressions of what we feel good or bad about, thus they may act as an authentic barometer of our feelings. In Sahaja meditation, there is a real, tangible way of detecting positive and negative vibrations once one’s subtle energy system becomes sensitive or receptive to vibrations. Positive, strong vibrations can be sensed by a strong flow of vibrations and a cool sensation, while bad, negative vibrations can be perceived as hot sensations, accompanied by stoppage of the flow of vibrations. Negative vibrations may also be experienced as a feeble flow of hot energy. These sensations can actually be felt on our hands and fingers. Since good and bad can be relative in the real world, it’s easy to question how vibrations can be so precise or absolute. But in reality, there’s no relativity or ambiguity involved in whatever nature creates. It is always absolute. Confusion and ambiguity exists only in our interpretation and understanding of these creations. All creations of nature are created with a purpose, have very specific characteristics, functioning, and a clear-cut path of evolution. Subjectivity and relativity only enters the picture when human beings create things. Or when human beings, who themselves are creations of nature, misuse their discretion, sense of freedom and faculties to create not-so-positive things and outcomes. The laws and protocols of nature are also absolute. For example, honesty or innocence, by definition, are absolute in nature. But human beings may exhibit relativity in the manifestation of these qualities; that is, degrees of honesty or innocence. For most, the practice of Sahaja meditation and the pursuit of spirituality in general tends to gravitate towards seeking and understanding these absolute paradigms of life and making our lives clearer, less ambiguous and completely at one with nature. In fact, being able to perceive nature’s emitted vibrations is the first step towards a clearer, higher state of existence that is unclouded by relativity and ambiguity. Vibratory awareness can become a helpful, practical decision-making guide for Sahaja practitioners. As you move to advanced stages of the practice of Sahaja meditation, you begin to receive confirmation of good vibrations emanating from positive things and bad vibrations from negative things — again and again, often, several times each day. Over time, the distinction between good and bad becomes crystal clear and your vibrations provide you with confirmation. When we’re experiencing doubt, our vibrations can help tell us the difference between good and bad. And this detective ability can be applied to many situations and things; for example, ideas, plans, thoughts, objects and of course behaviors, actions and characteristics exhibited by others (though not the people themselves, for there’s no such thing as “good” or “bad” people in absolute terms). Hot or cool vibrations are mostly synonymous with good or bad vibrations, but not always. Many times, feeling no vibrations at all can be an indication of bad or not-so-positive things. Cool vibrations, while generally positive, may sometimes indicate “Just Okay” versus a strong pulsing flow of cool vibrations, which indicates Extremely Positive. Over time, and with experience, a greater level of sensitivity in vibratory awareness can help us decipher exactly what nature’s vibes and energies are telling us about a particular thing. During the Self-Realization process, the Kundalini energy is awakened and a few strands of this energy rise through the central energy channel, pierce the centers, and achieve a connection with the all-pervading energy. The Kundalini energy is composed of a large number of strands or threads of energy intertwined in a spiral fashion, like a rope. During meditation, the Sahaja technique involves raising the Kundalini energy, and strands of energy rise through the central energy channel each time. 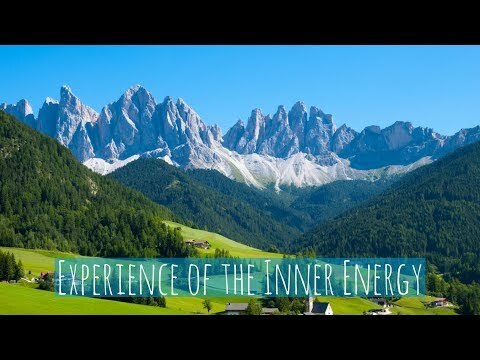 The strength of your inner energy connection to the universal energy is directly proportional to the number of strands of energy rising and the number of obstacles in its path. The stronger the energy connection, the deeper the experience of thoughtless awareness and the stronger the vibrations. Conversely, when fewer strands of energy rise, vibrations are typically feeble. It is almost impossible to determine why the strength of the connection varies. 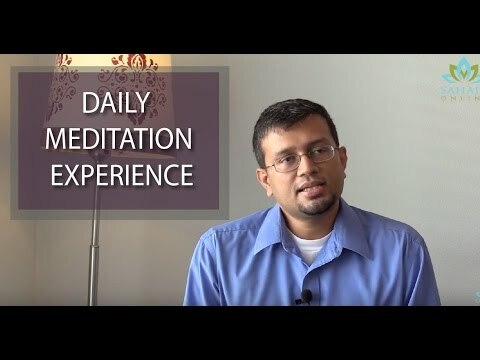 It can vary from one meditation session to another, on a daily basis, too. Several factors are responsible for this… the state of our energy centers, the degree of obstacles in the energy’s path, our surroundings, the strength of our attention, and most important of all, the strength of qualities associated with high quality thoughtless awareness (e.g., humility, attentional control, etc.). The qualities that improve thoughtless awareness strengthen your connection. The Kundalini energy is a highly intelligent, dynamic and spiritual energy. It rises and moves according to subtle states and paradigms that are hard for the human intellect to comprehend. 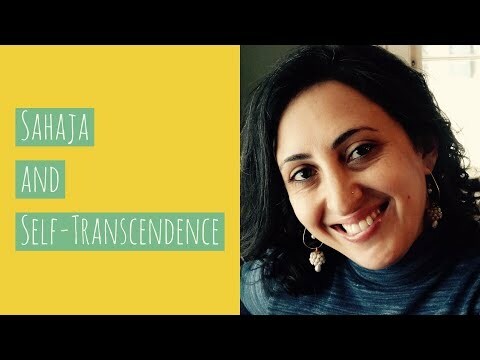 However, there’s a set of techniques and guidelines available within the Sahaja body of knowledge (including the anecdotal experience from practitioners over several decades) to help you improve the strength of your connection and accelerate your progress. There are several issues related to our ability to perceive the subtle energy system at different locations or in different ways. Vibrations can be felt on the hands or on the top of the head. The movement of the Kundalini energy in general may be felt through any energy center. At times, vibrations may only flow through the left or right hand, which indicates that the subtle energy system is out of balance. An energy channel (e.g., left channel or right channel) that is blocked results in absence of vibrations in its respective hand (left or right). Furthermore, the flow of vibrations can also be felt on specific fingers. At times, the vibrations can be sensed in some fingers but not in others. The mapping of fingers and regions of the hand to the individual chakras can be understood from the diagram of the subtle energy system. When vibrations are not flowing through a particular finger, it means there’s some problem with a specific chakra that needs attention. The toes experience vibrations similar to the fingers, but there’s a slightly different mapping to individual chakras for the toes. Vibrations may also be felt at the location of the individual chakra. Likewise, obstacles can be felt in the chakra, or on the fingers or toes that are mapped to that chakra. Beyond the sensory perception of vibrations and the flow of energy, it is possible to explicitly detect obstacles in the subtle energy system. In fact, with the passage of time, these can be consistently and easily detected and analyzed to pinpoint problems with specific chakras or channels. An obstacle is a temporary obstruction or impediment to the flow of the Kundalini energy. Obstacles can occur in any channel or chakra. They’re felt in various ways, such as a twitching sensation in the finger or toe that corresponds to a particular chakra, or a twitching or “catch” sensation at the precise location of the chakra. At times, the twitching can be quite intense (though not painful or disturbing) while at times, it can be mild. At other times, it can be detected by the absence of vibrations or the flow of energy through the specific finger that corresponds to the chakra. Obstacles in the energy channels can primarily be felt by the lack of energy flow either in the right hand or left hand. A negativity is a foreign entity in the subtle energy system, very similar to how a virus or other unwanted microorganism is a foreign entity in our physiological system. A negativity has adverse effects on the subtle energy system, starting with an impact to the vibrations and quality of thoughtless awareness to sometimes deeper impacts, such as influencing our behavior negatively due to emotional imbalances or inducing a lot of unnecessary (and possibly distracting or intrusive) thoughts. In fact, negativities or foreign entities such as actual viruses and bacteria that will lead to physiological disorder can also be detected and sensed by the subtle energy system. The beauty of being able to perceive such viruses through the subtle energy system is that it may allow you to detect this disruption well in advance of symptoms occurring. Typically, we tend to classify disorders based on symptom clusters. Many Sahaja practitioners report being able to detect physiological disturbances and disorders well before the physical symptoms start manifesting. In many cases, they can take preventive action to eliminate the problem or significantly reduce its intensity. Two common examples include being able to detect a problem with the digestive system through the detection of an obstacle or negativity in the Nabhi or Swadishtana chakra, or being able to detect a flu or common cold by detecting a catch or negativity in the Vishuddhi chakra. However, negativities in the subtle energy system typically can be a lot more subtle. A common example is infiltration of negativity in the left energy channel, which is involved in addictive behaviors, such as addiction to substances like alcohol, and other severe mental health problems. 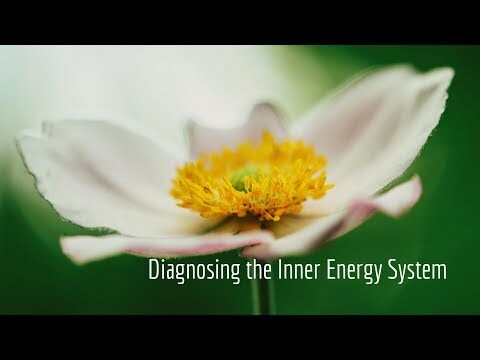 While science has its own explanations and diagnostics for such disorders, the subtle energy system can also help us detect and analyze these problems quite effectively. Other types of the subtler negativities can include significant behavioral changes, as in the case of a person who suddenly becomes a shopaholic or an overly aggressive personality when he or she was not previously known to exhibit such behaviors. This may sound strange, but it’s true, and has actually been experienced by meditation practitioners over the years. You can think of it as being similar to how Spiderman, in the movie Spiderman II, gives in to negative forces, suddenly starts wearing a black suit and behaving very differently! When negative forces overcome us, they start influencing our thinking and behavior. But Sahaja meditation and the subtle energy system can really help keep these forces at bay by allowing you to detect these negative changes. Negativities in the subtle energy system are typically experienced by a sensation of pain that sometimes feels like a pin pricking the finger. They can also be experienced as heat passing through the fingers, rather than a cool flow of vibrations. Symptoms of different kinds can help us understand problems relating to specific chakras. If we are alert and aware of these symptoms, we can take corrective action by trying to clear the obstacle or negativity and trying to balance the specific chakra. Excretory problems, sexual disorders, reproductive difficulties, sexual perversions Sitting directly on the ground / earth as much as possible. Place both hands on the ground with palms facing downward touching the ground. Left energy channel Absence of vibrations on the left hand and toes, constantly delving into the past, lethargy, depression, lack of energy Using the flame of the candle to clear out obstacles and negativities in the left energy channel. Like anything else, the old expression “Practice makes perfect” is completely applicable to Sahaja meditation. 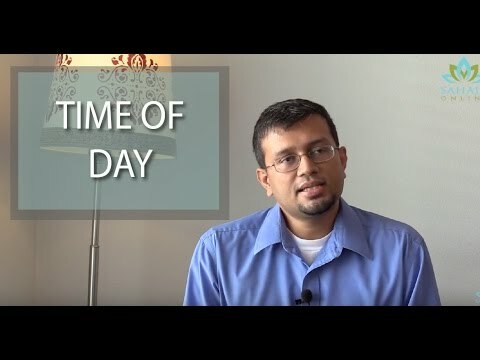 The regular practice of meditation, at least twice a day along with other techniques of clearing and balancing are a must for improving sensitivity. Specific clearing techniques such as foot-soaking may also be used to clear out the subtle energy system and enhance the flow of vibrations. The achievement and establishment of thoughtless awareness is a big topic in itself. Most people start out with just moments of thoughtless awareness and are able to increase the duration and quality over time. 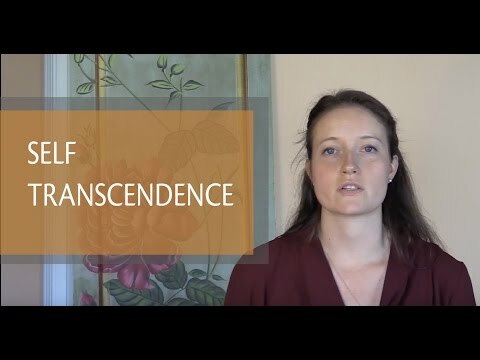 The key aspect to understand is that thoughtless awareness is a state that we fall into and that it is driven by the strength of the Kundalini energy’s connection and several qualities that need to be acquired and exhibited. Most important amongst these are a sense of humility, ability to forgive and remain emotionally detached, attentional control and a fairly unconditioned or de-conditioned mind. Each of these important qualities is discussed below. While humility is a well-known quality, it is extremely subtle and can also be relative for most people. From a Sahaja practitioner perspective, the required qualities are complete acceptance of the fact that there are powers beyond our control and an inherent respect for Nature. The more we surrender and allow the natural force to do its work, the better our experience and outcomes are likely to be. Humility also includes a sense of surrender to our own individual Kundalini energy, which has the characteristics of a benevolent mother. As we grow older and perhaps become more established and successful in our lives, a sense of complacency always creeps in… we are no longer the child who looks up to our mother with humility, requesting help in satisfying a need. If we understand and accept that we’re not spiritually developed yet, a similar attitude can be brought to meditation, which helps establish the humility that paves the way for the Kundalini energy to do its work. Humility and ego are usually interconnected. Lack of humility is often due to the presence of egoism within. In Sahaja meditation, ego has a specific location and impact. The bubble of ego along with our superego or past conditionings, can create a hindrance at the level of the 6th or Agnya chakra and prevent the Kundalini energy from passing through and connecting with the universal energy. Forgiveness is necessary during meditation because it improves our state of thoughtless awareness and because, without it, the Kundalini energy has difficulty rising above the 6th chakra (Agnya). Forgiveness is the primary trait associated with the Agnya chakra. Being unable to forgive can increase distracting thoughts and emotional reactivity, which can make achieving thoughtless awareness a struggle. If we’re focused and clear that we’re the ones who benefit most by forgiving others and move on with our journey of meditation and spirituality, then forgiveness is potentially the best weapon against everything and everyone impeding our progress and keeping us stuck in the past. We are free to focus on improving our lives and let the all-powerful energy take care of the rest. In simple terms, too much of anything creates an attachment of some sort — to people, things, habits and so on — to the point that such attachments may control our attention more than necessary and interfere with thoughtless awareness and achieving a balanced frame of mind. An increased number of thoughts arise from those aspects that we’re strongly attached to. In fact, during meditation, our minds somehow find a way to seek out thoughts that relate mostly to those things that we’re so strongly attached to. Achieving detachment happens in two ways: (1) through awareness of our attachments and conscious attentional regulation to avoid them during meditation; (2) in the longer term, by trying to balance our lives so that the pursuit of meditation and spirituality becomes an integral component, which helps continue to ensure that other people and things aren’t distracting us or dominating our attention. Attentional control is the most important lever for establishing and improving thoughtless awareness, both during meditation and over the longer term, in our daily lives. Since the central concept of thoughtless awareness is separating our thoughts from our attention, keeping your attention under tight control — including paying attention to how your attention is attracted or diverted is key. When we’re not meditating, our attention is constantly capturing and recording the present and creating memories of it. The quality of those images has a bearing on the quality of our attention. Positive events tend to create fewer attentional disturbances than negative ones. Recalling both positive and negative events from the past, with their associated thoughts and emotions, can cause us to lose control of our attention in the present. Ultimately, a sense of balance in any situation in our lives is essential for establishing and improving our state of thoughtless awareness. Growing up, we’re taught various concepts and rules that can condition our thoughts and emotions to a significant degree. They can also create rigidity. But a certain level of flexibility is required for one’s consciousness to continuously evolve. Conditionings can be very subtle and tricky. Once we’ve managed to decondition our minds and settle into high quality meditation and thoughtless awareness, it’s easy to hit a plateau in our progress because the conditionings about meditation and spirituality have now firmly entrenched themselves in us — our old conditionings have merely been replaced with new ones. There are always positive conditionings that we should retain, but some may need to be relinquished as we continue to evolve. 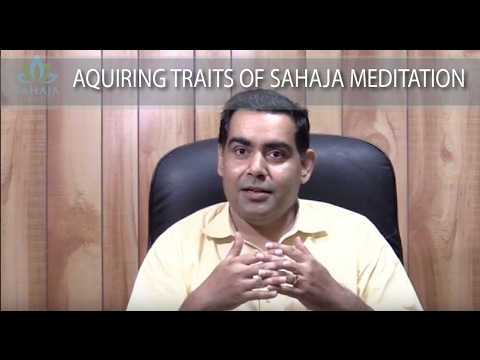 The practice of Sahaja meditation helps us be mature enough and flexible enough to realize that. While the ability to sense various components of the subtle energy system, detect obstacles and negativities, and resolve short- to medium-term problems are the first steps towards progress, the longer term goal is always to see an overall improvement in personality and significantly increase the quality of our lives. In Sahaja meditation, short- and long-term approaches go hand in hand. Improving the sensory awareness of the subtle energy system and using clearing techniques are important for staying on track in the longer-term journey because these strategies overcome short-term obstacles and attentional disturbances. The long-term focus involves being continually introspective about our traits and ensuring that our lives only get better with the passage of time. Making progress on our long-term goals increases our maturity and resilience and helps us overcome short-term problems much more easily. So, the two work in tandem to create an overall improvement in our lives. The journey of improvement can be visualized as a spiral — it’s possible to move upward or downward within the spiral. Each positive step leads to a higher state and constant trajectory upward. Every negative step contributes to a negative trajectory that only attracts more negativity and can ultimately send us into a downward spiral. Improving our traits helps strengthen the chakras and strengthening the chakras, in turn, further improves our traits. One feeds the other, driving an upward spiral. But the same force of gravity can also drive a downward spiral if we’re not constantly introspecting. To ensure successful long-term outcomes, meditation needs to become part of our lifestyle and in fact a basic “hygiene” factor that we cannot do without. Treating meditation as simply a short-term course generally doesn’t help long-term improvement, just as a physical fitness regimen cannot be just one short-term course if we are to stay physically fit for the rest of our lives. Each is only sustainable if we make it an integral part of our lives. There will be always be ups and downs in our lives. We all experience disruptions, periods of struggle and even reversal of progress or regression in our state of consciousness. Yet, being able to manage these struggles and come out a winner in the longer term is the true test of the journey of meditation and spirituality. Once we commit to a longer term approach, it’s important to understand the basic qualities associated with the various components of the subtle energy system and work on those to achieve long-term improvement. Long-term evolution implies acknowledging and accepting that the above traits are essential to improving our lives. It’s also about being able to examine these qualities within ourselves and acknowledge deficiencies as problems to be fixed. Our attention is sharpened through regular meditation and cleansing techniques, which helps us identify the root causes of behavioral deviations from the subtler traits we desire to possess. Meditation not only helps elevate our attention to a higher state where we feel less need to react or make impulsive decisions, but it also provides us with a sense of objective detachment towards people, things, and situations, which ultimately helps us overcome our deficiencies. In addition to the meditative practice itself, willpower and a deliberate, conscious mental effort is required to ensure that we stay on track and are continuously pursuing the improvement of desired traits. Many times, rationalizing or justifying our own bad behavior can cause us to cheat ourselves out of improvements that would help us reach our long-term goals. The deception of the ego can be the most powerful deterrent in the world, and that, in itself, is a deficiency to overcome by improving the Agnya chakra and its qualities. In fact, you will find that certain chakras and traits have greater significance at different critical points in our lives. The 1st chakra (Mooladhara), for instance, is the basis of many other qualities. The Agnya or 6th chakra has the ability to undermine all your plans and efforts if your ego is not kept in check. At other times, if your 7th energy center or Sahasrara is not balanced, your entire pursuit of long-term improvement and spirituality may be jeopardized. Or if you find yourself succumbing to the same old weaknesses time and again, the Nabhi chakra and Void would be the prime areas to focus on. Being able to identify precisely which traits and, concomitantly, which chakras are weak within us at a given moment is an ongoing long-term effort that helps ensure your progress. Collectivity can be an important tool for longer-term improvement. While meditating individually is definitely beneficial, we may find ourselves wanting to push harder and reach even greater heights in our spiritual journey and improvement. Group meditations can help us accomplish this, drawing upon the collective energy of other meditators to help us reach higher still. More people meditating simultaneously opens a larger number of individual connections to the all-pervading power and gives us easier access to the collective unconscious energy. Collective meditation also offers an opportunity to get help from others in clearing out stubborn obstacles and negativities that we may have struggled to clear on our own, and to do so before they can drag us into a downward spiral. In the longer term, shifting our focus to deeper aspects and concepts of spirituality with an open mind and open heart and endeavoring to understand them can help carry us to new heights in our journey. As long as our progress and benefits are measurable, and result in tangible and verifiable improvements in our state of consciousness, perhaps we should be willing to experiment with new hypotheses and concepts we have never before encountered, even those that have not been cleanly established by science, philosophy, or conventional wisdom. After all, isn’t it better to do your own experiments and become a master of your own individual journey and progress, rather than wait around for the masses to embrace the latest technique or researchers to document it? With an energy-based Sahaja meditation practice, the proof is in the pudding. You’ll find that the solutions lie within your own subtle energy system.